Chores and allowance used to be under control in our house. 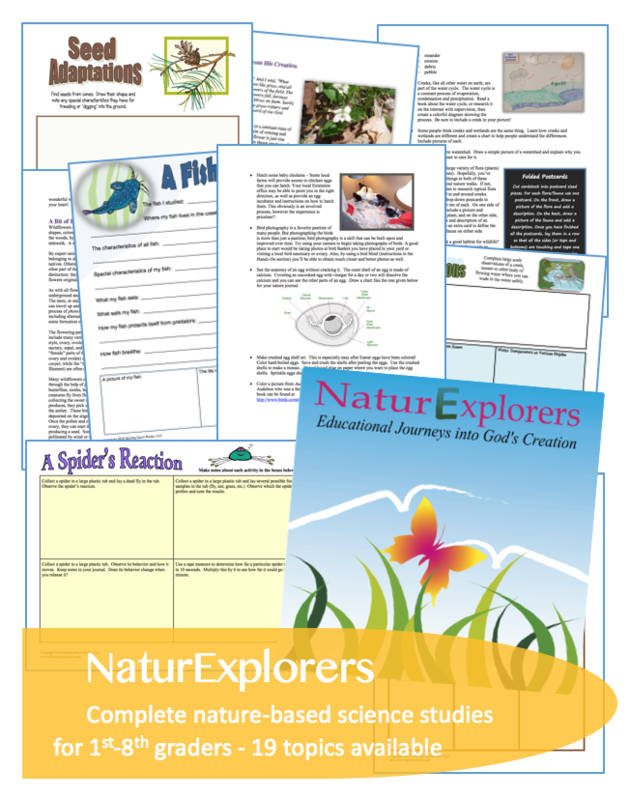 We had our daily, weekly, and monthly plans in place with cute charts that helped everything run smoothly. We kept a relatively clean and tidy house – inside and out – without much effort or complaint. 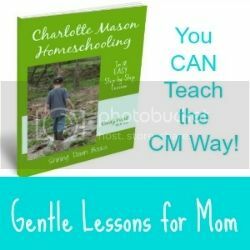 As the kids got older, we started going this way and that with new activities and lessons. All of the opportunities were good and truly worthwhile, but they quickly threw a monkey wrench into our regularly scheduled routine. Our house was beginning to suffer a bit because I just couldn’t find a new groove for chores. We were in the season of life where there was a mad dash to clean when, and only when, company was expected. I thought, “If I can just make it until one of these kiddos has a driver’s license, my schedule will calm down and I’ll be able to easily pull things together again. In case you don’t know, things only get busier once your teens begin driving. It would seem there should be more time on your hands, but driving just allows your children to get involved in more things – like jobs. And, teenage jobs rarely stick to a precise schedule that work with your old chore charts. Having teenagers also means your schedule is disrupted with things like appointments to dermatologists, trips to watch your kids perform now that the guitar lessons have paid off, and special trips to shop for Christmas and birthday gifts with them since they want to pick out their own things. Oh, and because their internal clock shifts to include late-night talks and less-than-optimal times to arise in the morning, everyone is more tired than they used to be for the old “get the chores done early in the morning” days. And…when you live on a cattle farm, the teenage life means many more responsibilities outside of the house. There are cows to be fed and watered, fields to tend, yards to mow, and equipment to be maintained. Throw in my middle age energy levels and a new, intense job for my husband and you might understand why I hired a little help about a year ago. I never, ever, ever thought I would need help keeping the house up, but in this season I am not ashamed to say that I have a very sweet lady who comes to do some of the harder things every two weeks. She has gotten us back on track with rooms that hadn’t been deep cleaned in way too long and even finished long-overdue projects like adding a fresh coat of paint to the doors and trim. BUT…I made it VERY clear to my children that she is coming to help ME. Not them. They don’t get to go about life doing all the fun things without taking care of at least some of the business of home keeping. Because the big kids used to take part in the old chore routine, it’s not hard for them to know where and how to take care of business at some point during their day. I’m not at all picky about when they do their chores, I just expect them to be done. However, the ten-year-old was only a little bitty guy when we were last on a regular routine. Yes, it’s been THAT long. Because the schedule is still erratic, it’s obviously STILL difficult to make a plan and stick to it – especially if I’m not always right there to remind or check or inspect. So, I’ve continued to struggle with pulling together a consistent routine and he has struggled with job follow-through and doing the chores well – and that’s my fault entirely for not training better habits. But, it’s never too late to begin training or retraining habits and that’s what we’re working on now. This post has been sponsored by Homey. I received a free subscription to try Homey with my son. I have been compensated for my time spent writing this post. As always, I only share my honest opinions. I am so excited to introduce you to an app that is WORKING to fill in the gaps of an erratic schedule, poorly trained job assignments, and my lack of follow-through for accountability. For the last several weeks, I’ve been using Homey with Eli. 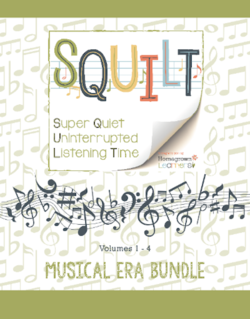 It’s a pretty slick little app that I downloaded to my iPhone and Eli’s Kindle. Homey allows me to set chores for Eli from my iPhone that show up on his Kindle. 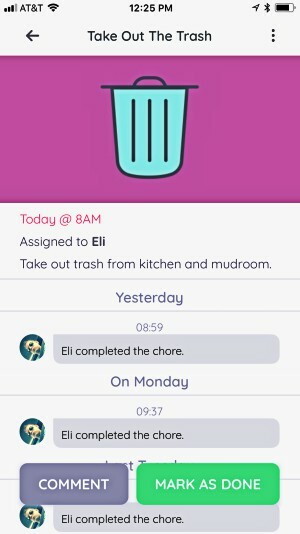 There are several pre-made chore options which are editable that I can easily add to Eli’s schedule. Or, I can create my own chore lists. 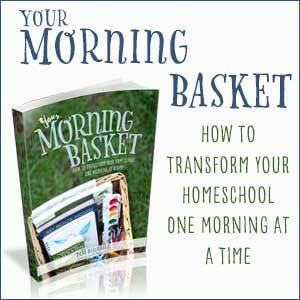 I can set each chore to be completed daily, weekly, or at any other interval I like. I’m able to set his account so that only the chores for today show up so as not to overwhelm him with seeing everything he might need to complete in a week or month. I can type in the steps necessary to complete each particular chore if I need to. This helps to remind him exactly what I expect in order for a chore to be done well. 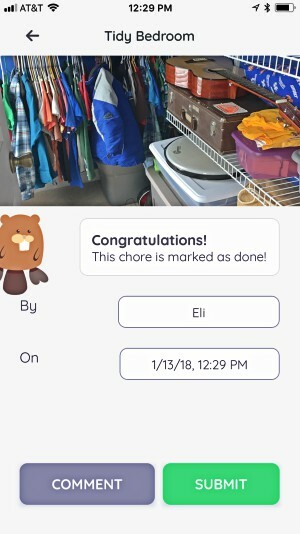 As he finishes each chore, he “marks as done” in the app. I can see the list of chores completed (or not) from my device. 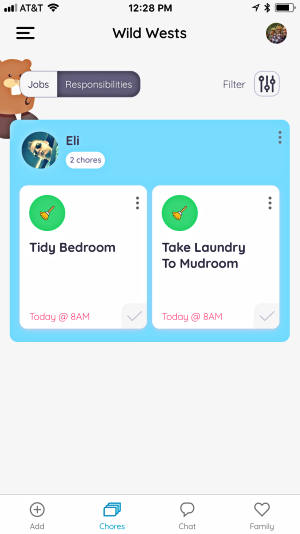 Here’s a REALLY cool function…If I want (or need) to have photo proof that a chore has been completed correctly, I can set it so that Eli has to snap a photo before he can mark it as completed. That means if I’m out with one of the big kids at a dentist appointment, I can SEE that the job has been successfully (or not) finished. For the time being, I only expect photo proof that Eli’s room is as tidy as it should be. 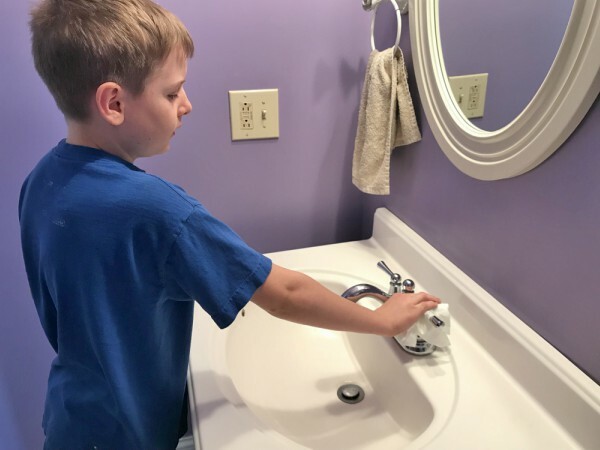 Because there are lots of little tasks required in his room that he sometimes misses (or chooses not to do), the photo goes a long way toward accountability! I also like how the photo places the responsibility in his hands rather than me having to go up to his room every day to point out what’s not been done right. He doesn’t take the picture until it’s going to pass my inspection. 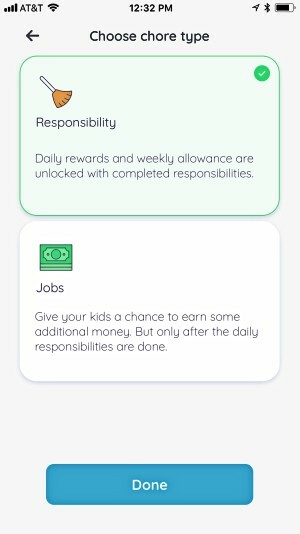 Homey has a pretty cool allowance and goal setting function, too! 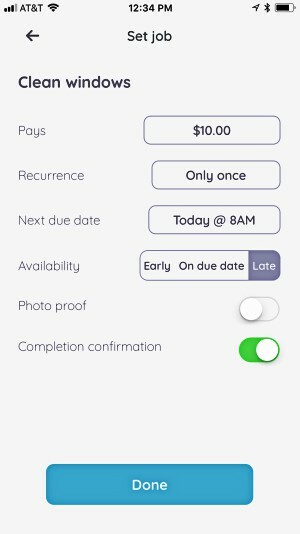 The app can track weekly allowance earned based on the chores successfully completed. I get to set the allowance amount and the percentage of chores that can be missed in order to receive the allowance. 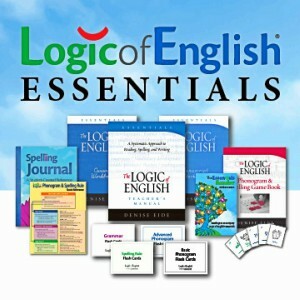 I can add special jobs (different from chores) to the roster that allow Eli to earn additional money upon completion. At the end of each week, we check Eli’s financial summary to see how much he earned for chores and jobs and pay him accordingly. There is a wonderfully convenient option to connect your bank account and your child’s bank account to the app and directly transfer money earned from one account to the other. My husband hasn’t felt comfortable with this option yet, so we simply pay Eli in person. Eli is currently saving money toward a new Nerf gun. He and I were able to set up a “spending jar” in the app that automatically applies each week’s earnings to toward the Nerf gun and clearly shows Eli how much more he needs to buy it. This has been a fabulous motivator for him to take on some of those additional paid jobs. I love that we can set up savings and tithing jars, too! 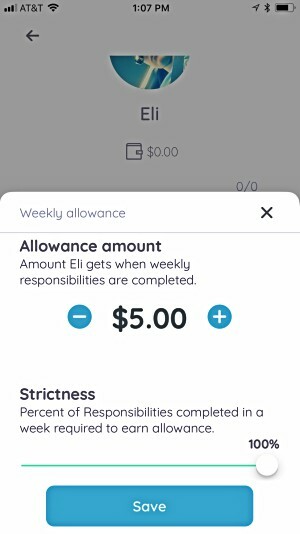 If Eli happens to earn some special reward outside of the app, we can easily add extra money to his weekly earnings account. OR, if he had a really bad habit that we wanted to charge him for (like saying cuss words – which he doesn’t), we could remove money from his account, too. Think about it. 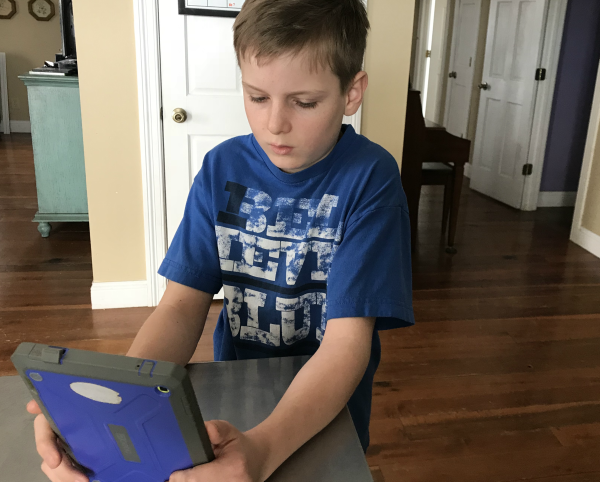 Eli is not only getting better at completing regularly scheduled chores AND learning to do them well, but he is also learning about money management and financial responsibility! Additionally, I’m able to maintain my crazy-busy schedule AND make sure he is forming good habits. Because I’m able to be mostly hands-off and not continually bugging him about chores, I’ve found more time to complete my own chores on a regular basis, too. The cleaning lady still comes every other week for the big stuff, but we’re back to having a relatively clean and tidy house that only requires a little extra effort when company is expected. Everyone is happier when a home is tidy – even if they don’t think tidiness makes a difference. My crazy schedule seems a little less overwhelming, too, now that I come home to less chaos! Since Homey can be used with more than one child, it’s a great tool to help entire families stay on track with chores and allowances. If your children don’t have their own devices to use to access the app, it’s very easy to share your device with them. 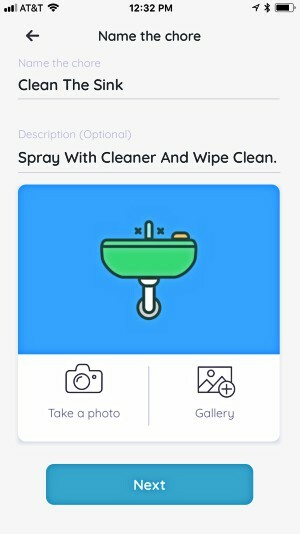 They simply have to check their next job on the app and come back to click a button once it’s completed. 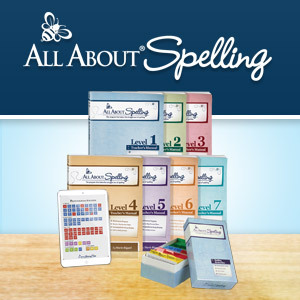 There is a free version of the app which allows up to three accounts – one parent and two children – that gives you access to the basic chore scheduling system and allowance monitoring. 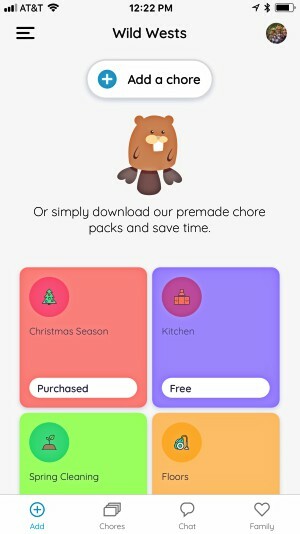 If you choose to pay the monthly expense (discounted if you pay yearly), you get full access to all the editable chore lists for an unlimited number of family members and you are able to connect bank accounts to the app. Give the free version a shot. 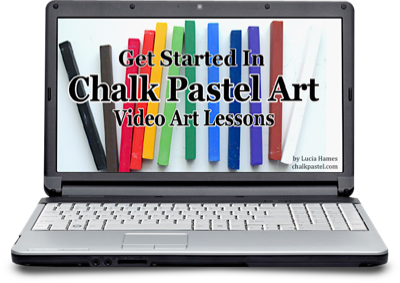 If you like what you see, definitely consider the paid version because it opens up so many more options for you. 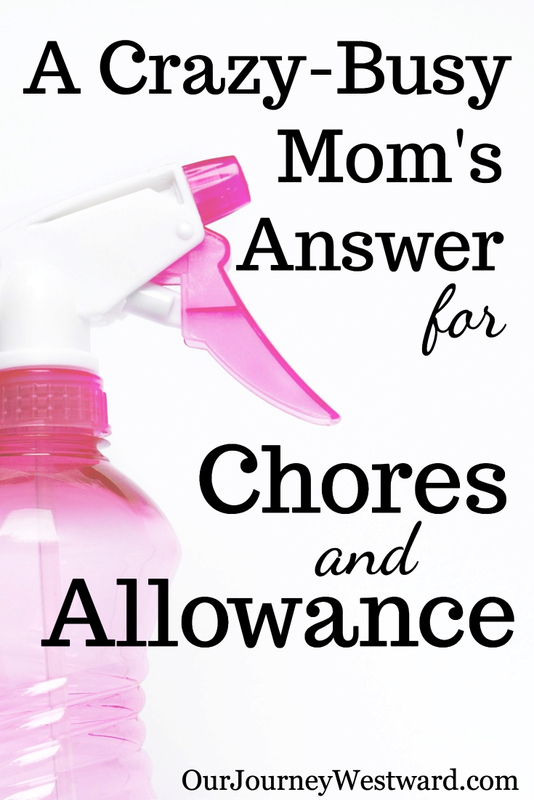 Chores and allowance have never been easier! I feel ya! thanks for keeping it real. I’d love to try this. Downloading now.